Traceability from requirements to code is mandated by numerous software development standards. These standards, however, are not explicit about the appropriate level of quality of trace links. From a technical perspective, trace quality should meet the needs of the intended trace utilizations. Unfortunately, long-term trace utilizations are typically unknown at the time of trace acquisition which represents a dilemma for many companies. 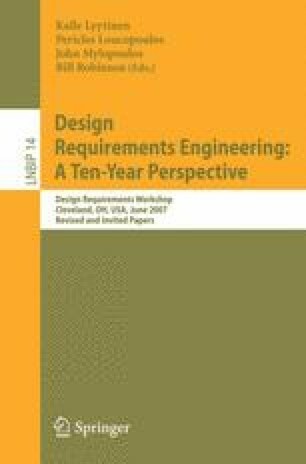 This chapter suggests ways to balance the cost and benefits of requirements traceability. We present data from three case studies demonstrating that trace acquisition requires broad coverage but can tolerate imprecision. With this trade-off our lessons learned suggest a traceability strategy that (1) provides trace links more quickly, (2) refines trace links according to user-defined value considerations, and (3) supports the later refinement of trace links in case the initial value consideration has changed over time. The scope of our work considers the entire life cycle of traceability instead of just the creation of trace links.